By: Paul N. Friga Ph.D. 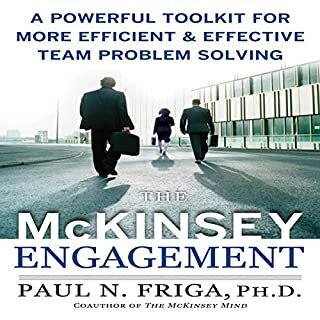 The McKinsey Engagement is an action guide to realizing the consistently high level of business solutions achieved by the experts at the world’s most respected consulting firms. 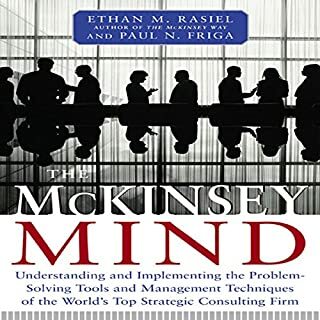 Former consultant Dr. Paul Friga distills the guiding principles first presented in the best-selling The McKinsey Way and the tested-in-the-trenches methodologies outlined in The McKinsey Mind, and combines them with many of the principles and procedures implemented by the military and other organizations. Consulting firms hire bright people directly out of college or with industry experience to help their clients solve business problems. Consulting 101 provides you with 101 useful tips to optimize your professional performance and jump-start your consulting career with success. Having inspired generations of consultants and entrepreneurs around the world, the "Rock Star of Consulting", Alan Weiss, returns with a revised and completely updated edition of his authoritative guide to consulting success. 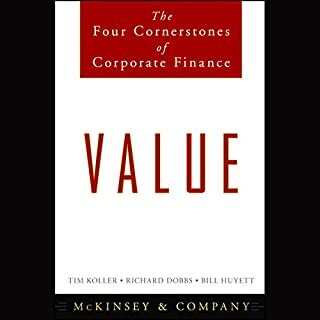 A behind-the-scenes, revelatory history of McKinsey & Company, America's most influential and controversial business consulting firm, told by one of the nation's leading financial journalists. In The Firm, Duff McDonald uncovers how these high-powered, high-priced business savants have ushered in waves of structural, financial, and technological shifts. With unrivaled access to company documents and current and former employees, McDonald reveals the inner workings of what just might be the most influential private organization in America. "You have to be the scientist of your own life and be astonished four times: at what is, what always has been, what once was, and what could be." "The majority of products in most companies are cash traps . . . .[They] are not only worthless, but a perpetual drain on corporate resources." "Use more debt than your competition or get out of the business." "When information flows freely, reputation, more than reciprocity, becomes the basis for trust." "As a strategic weapon, time is the equivalent of money, productivity, quality, even innovation." "When brands become business systems, brand management becomes far too important to leave to the marketing department." "The winning organization of the future will look more like a collection of jazz ensembles than a symphony orchestra." "Most of our organizations today derive from a model whose original purpose was to control creativity." "Rather than being an obstacle, uncertainty is the very engine of transformation in a business, a continuous source of new opportunities." "IP assets lack clear property lines. Every bit of intellectual property you can own comes with connections to other valuable innovations." 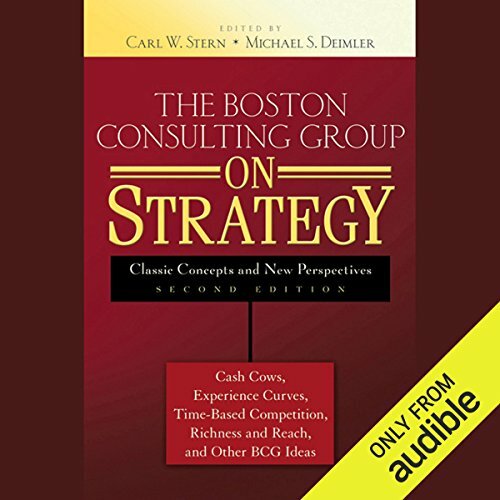 ©2006 The Boston Consulting Group (P)2012 Audible, Inc. This book feels like you found it at a garage sale - it shows it's age, but in terms of fundamentals, it's not necessarily BAD. I learned a ton from it and I think it's a valuable read, but very little updating went into it. The publishers have greatly exaggerated the few tweaks they've done. The bell-curve of selections peaks around the mid to late 80's - some from the 70's, some from the 90's, but very little from 2000 on. 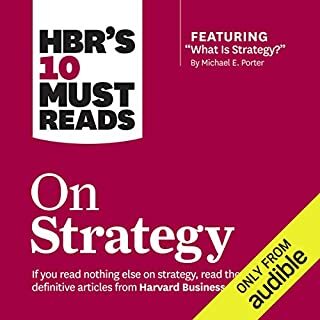 Many of the pieces comment on the contemporary business environment - the fundamental strategies they propose are sound, but make you wonder what you're missing by not reading something updated for the 2010's. 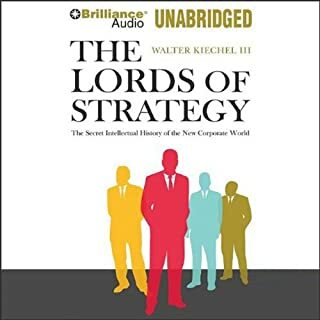 Also, please note: this is one of the most jargony and dense books I've listened to in a while. This was probably acceptable when the essays ("perspectives") were first circulated, but I think makes it a challenging listen today. Overall, I recommend it, however. Ok.. But SERIOUSLY.. Please don't waste your time like I did. 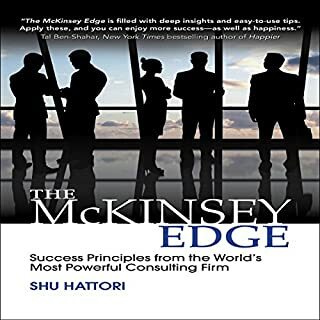 It's better to take your pick at one of the 3 McKinsey Consulting books on audible .. Or the one from Bain Capital / Consulting.